Call of Duty: Black Ops has shattered n the record for day one sales in the UK, and by a long, long way too. MCV report that day one sales of Call of Duty: Black Ops in the UK were 14% higher than that of its predecessor, Call of Duty: Modern Warfare 2. While 14% more units of the game were sold, Call of Duty: Black Ops made Activision an extra 22% in sales. Overall, 1.4 million copies of Call of Duty: Black Ops were sold in the UK on November 9th, making £58 million in revenue. This of course means that Call of Duty: Black Ops is bound to be number one in next weeks UK Chart! The news of Call of Duty: Black Ops record breaking achievements in the UK comes after Activision hailed the release as the biggest entertainment launch in history. The publishing giant say that 5.6 million copies of Call of Duty: Black Ops have been sold in the USA and UK, compared to Modern Warfare 2’s 4.7 million copies. Call of Duty: Black Ops generally received very positive review scores, while retailers have been trying to out do each other in order to encourage strong sales. So Train2Game, what are your thoughts on the success of Call of Duty: Black Ops? Is the game well deserving of its massive sales, or has the success of Call of Duty: Black Ops just been down to a massive hype campaign by Activision? Or perhaps it’s a combination of the two? 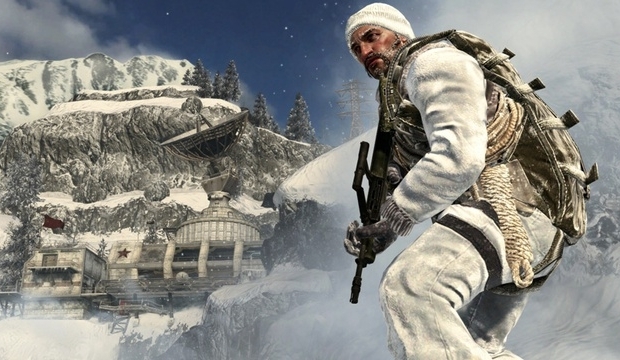 You can leave your thoughts on Call of Duty: Black Ops here on the Train2Game blog, or on the Train2Game forum. This entry was posted in games, Train2Game and tagged Activision, Black Ops, Bobby Kotick, Call of Duty: Black Ops, Train2Game, Treyarch by Train2Game Blogger Team. Bookmark the permalink.